Not all of us are blessed with hands the size of ham hocks. 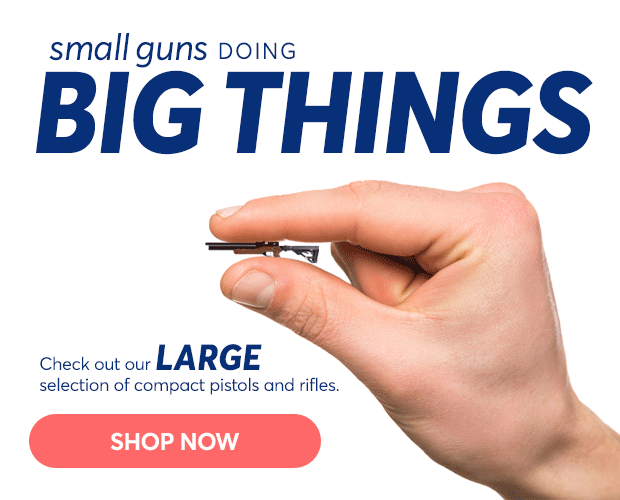 So, these compact pistols and rifles are just for you. Easy to carry, easy to holster, and most of all, easy on the wallet. Some may call these small, we call em "fun-sized".